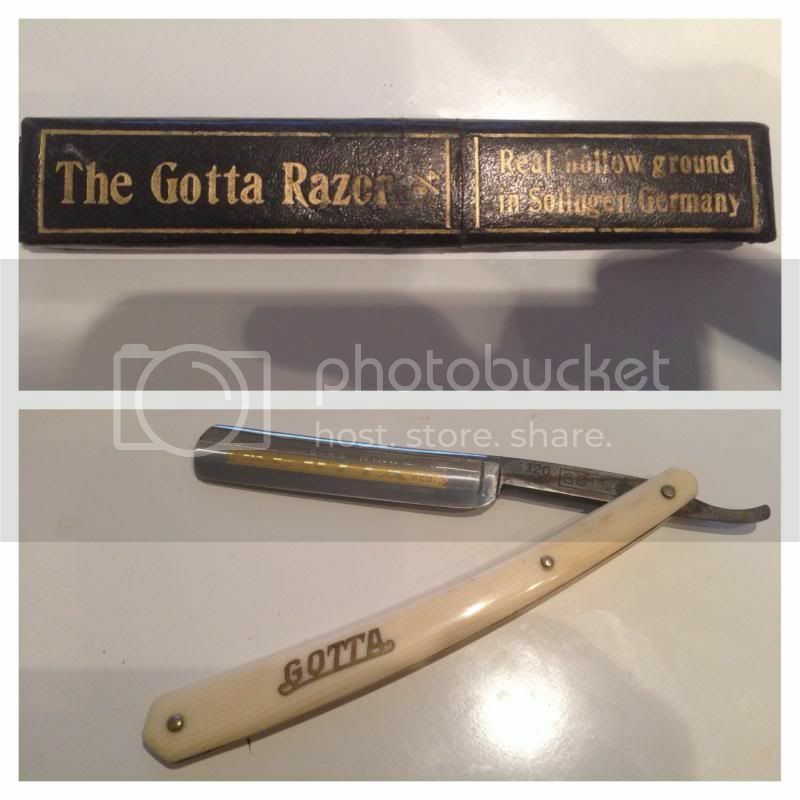 Hi, sorry to bother everyone with my 1st post but i recently inherited 9 straight razors that i have no use for. They belonged to my great uncle who died over 25years ago and more recently my aunt died leaving them to me. I have no use for these at all. Is it best throwing them for sale on here or ebay (i have no idea what their worth at all), if i do sell them is it worth selling them separately or as a job lot or just keeping hold of them if they have no value. Original Bartman 30 5/8 I have 5 of these. Well, I would normally suggest trashing them, but I see at least a sliver of redeeming value in one or two so I'll give you $5.00 a piece for the whole lot of them. 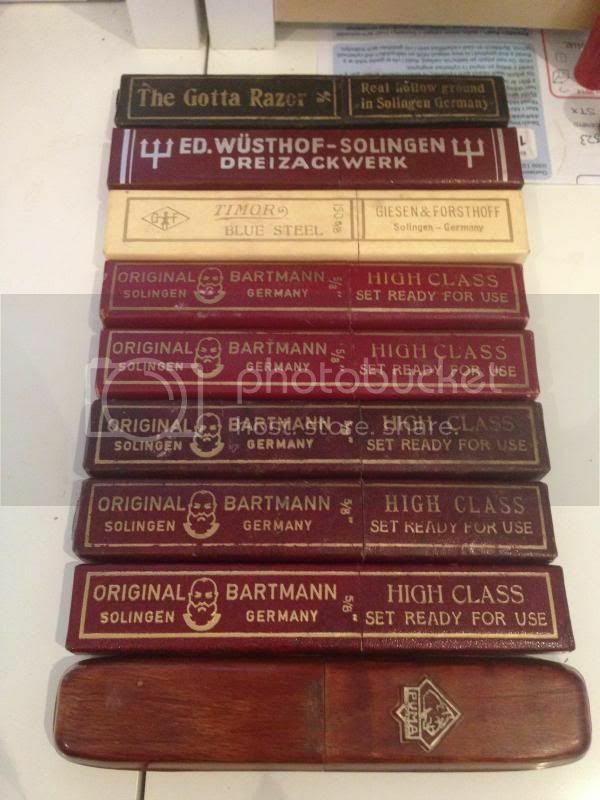 Seriously, these are nice razors that will command a good price at auction. They are not in great shape but in restorable shape for the collector and in very usable condition for anyone who just wants to clean them, hone them and use them. My advice is to sell them one at a time on ebay to get the maximum value out of them. Thats awesome news, thanks. I won't use them myself as i'm a committed beard grower lol. I pretty sure the last time they were used was more than likely around 25+ years ago. 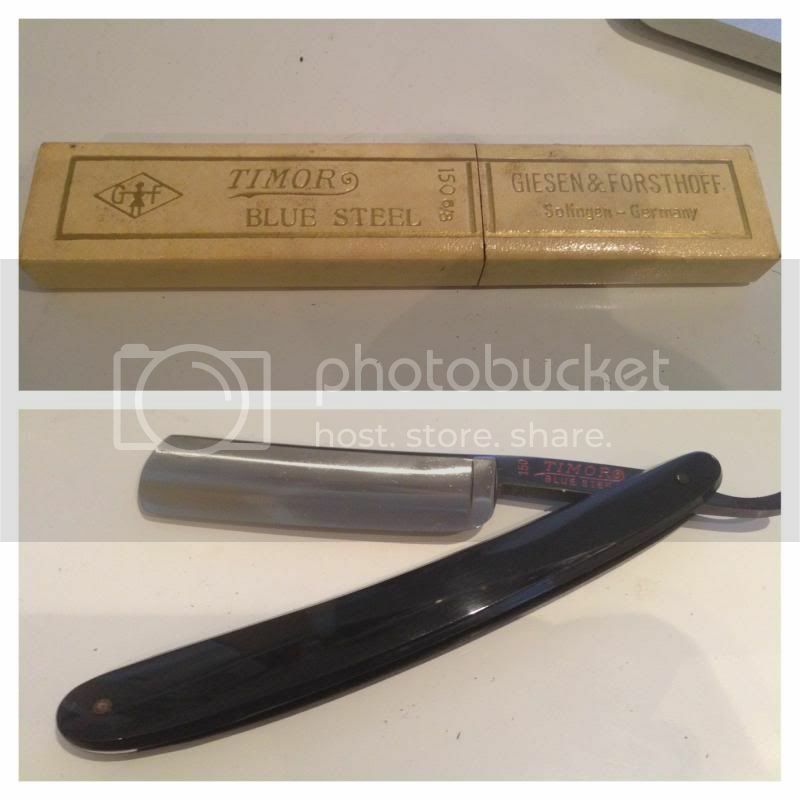 I don't think the TIMOR Blue Steel razor has ever been used as it still has a cover on it and there's oil all over the 'blade' I think the reason some of them may not be in the best of condition is they've just been kept in a box in the attic for the entire duration of this time. 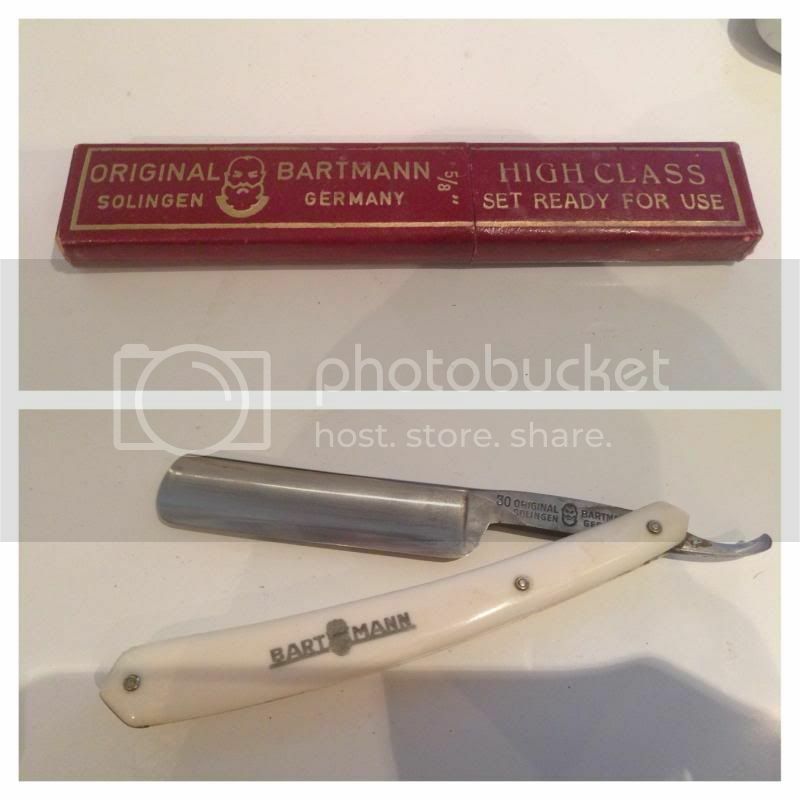 It was only by chance i found them whilst clearing out a bunch of stuff including his WW2 uniform and stuff like his WW2 shaving kit. 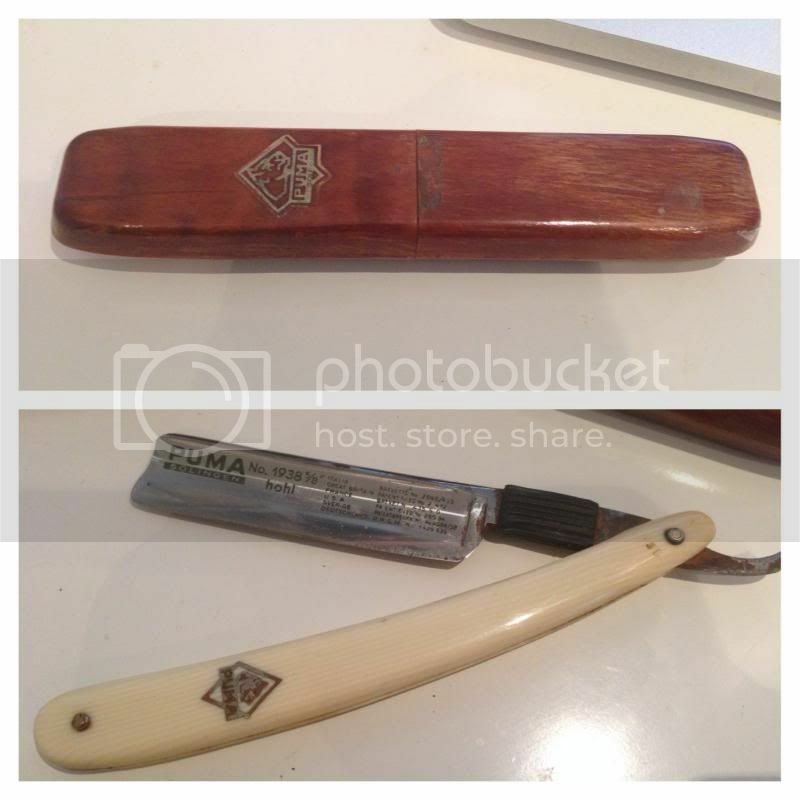 Beautiful razors --- you seriously aren't keeping them for at least sentimental reasons? I am not much of a straight aficionado, but there are many on the forum who are. I expect you will have little problem selling them here. Thanks for posting all those fabulous pictures. 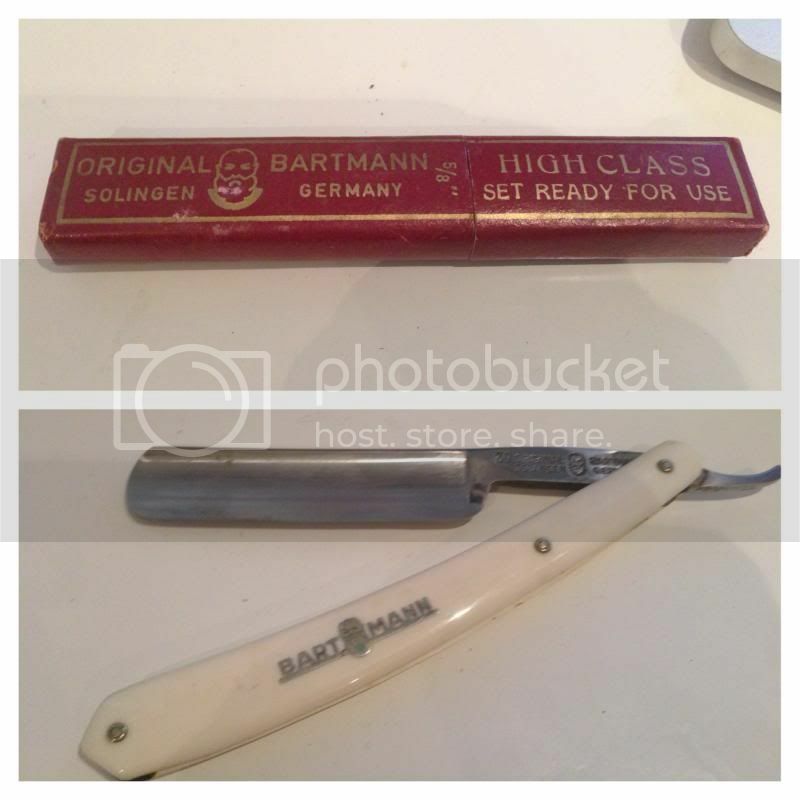 Some of them are very clean indeed, and probably only need a good honing to be shave-worthy. I'll be interested in hearing from those in the know more about the contents of this collection and what use they might be. Sorry that the thread is locked, Nathan. 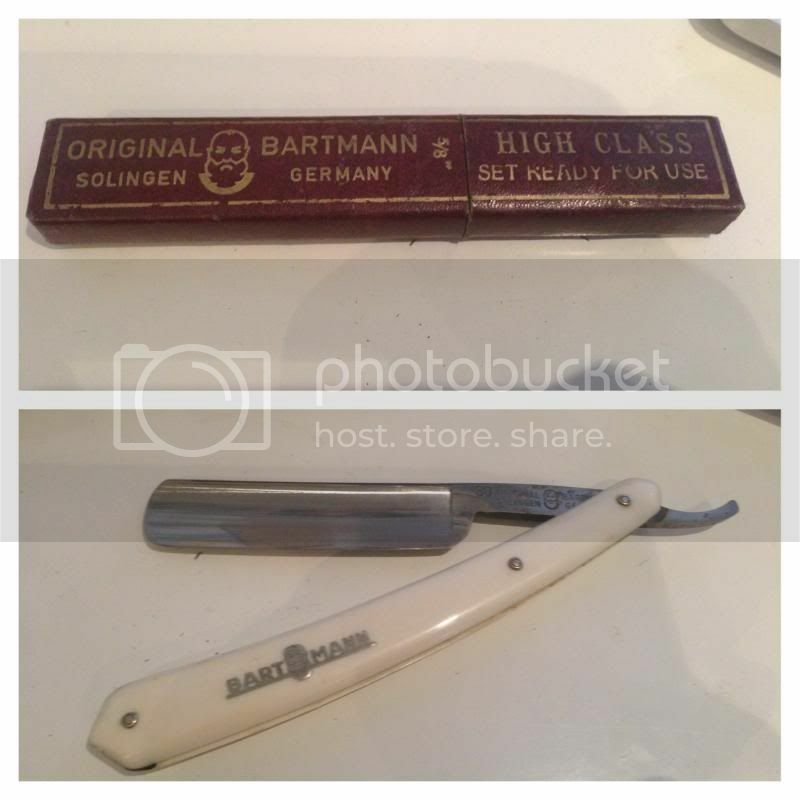 We require a member to have 25 posts before selling on this site (and in the correct forum too), and one of our moderators quickly spotted that this is really a post to sell the razors. 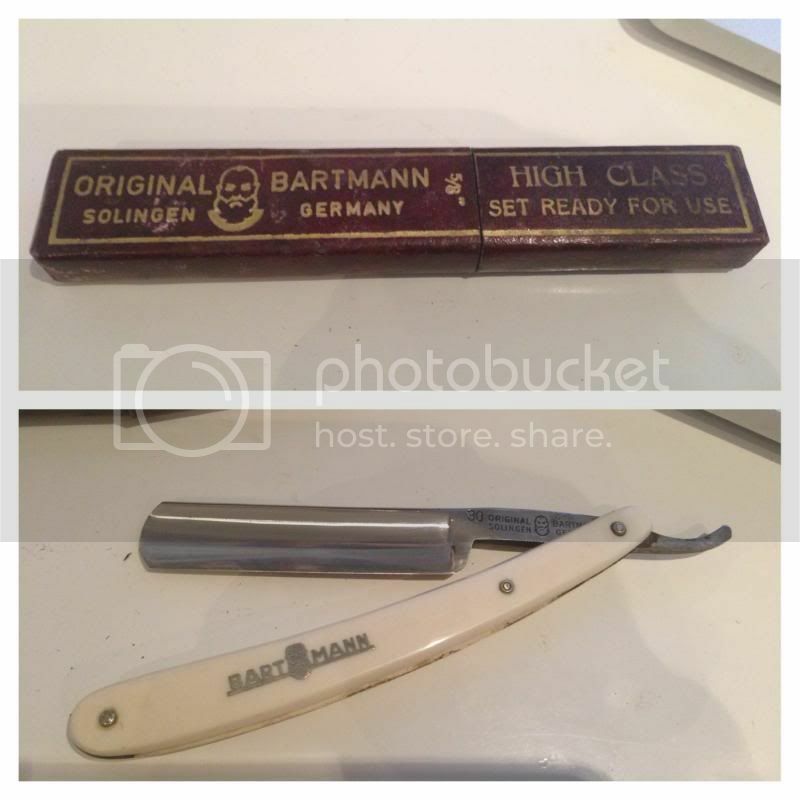 I agree with Chris above that these are razors worth the effort of selling for best value - don't misunderstand me; they are good razors, but not rare or especially valuable. You should expect $30 to $50 for each except for the rusty ones. 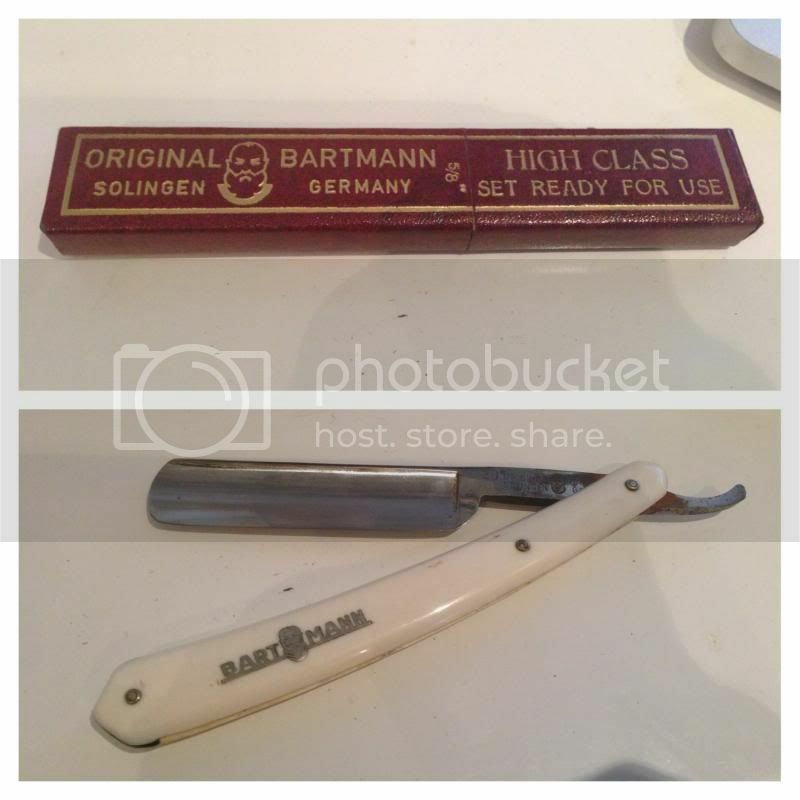 I would place them on eBay and join straightrazorplace.com and announce there that they are for sale (you might need to check on the etiquette there for announcing razors for sale on the Bay. 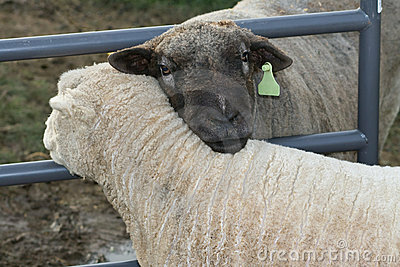 But if you want a much better idea, you could decide to keep them and learn to use a straight. It would be hard to find a better way to honour your great uncle. I'll unlock this thread now so that it can continue—just remember you can't sell them here unless you make 25 posts repenting your bearded ways! 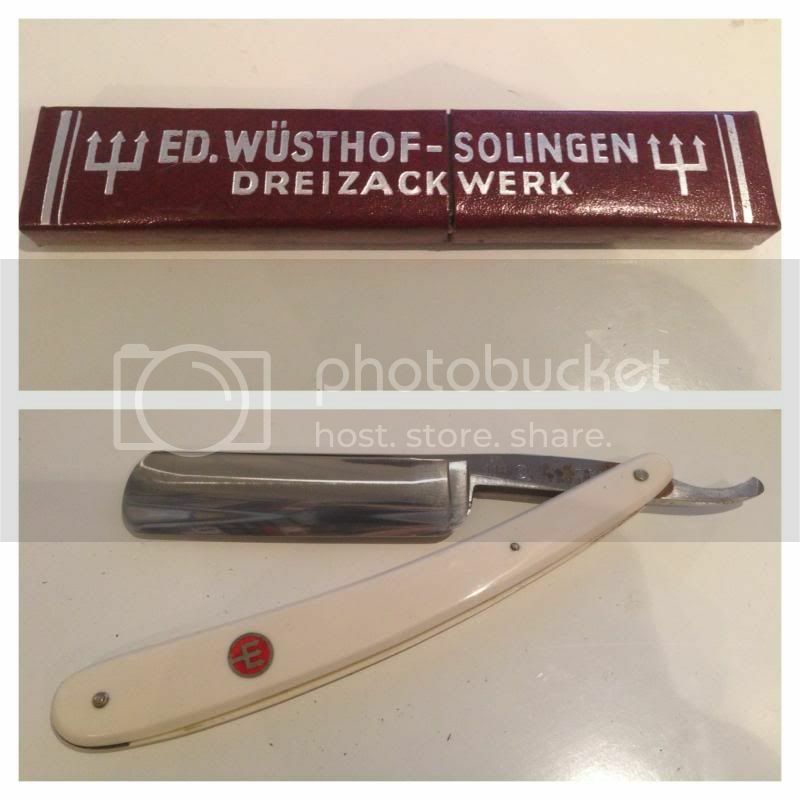 NathanG wrote: Hi, sorry to bother everyone with my 1st post but i recently inherited 9 straight razors that i have no use for. They belonged to my great uncle who died over 25years ago and more recently my aunt died leaving them to me.